Thinking about exercising and getting fit often leads you to think about getting a gym membership. The gym is a place that has all of the exercise and workout equipment that you need to help you get in shape. To be able to use the gym facilities, you will need to get a gym membership. It works like a pass that entitles you to the use of the gym facilities as much as you want. You can get a gym member ship to the gym of your choice by paying for a fixed amount. You will then be handed with a payment receipt and a gym membership card, which can both be used every time you use their facilities. A gym membership receipt is one of the many types of receipts that exist and are being used today. 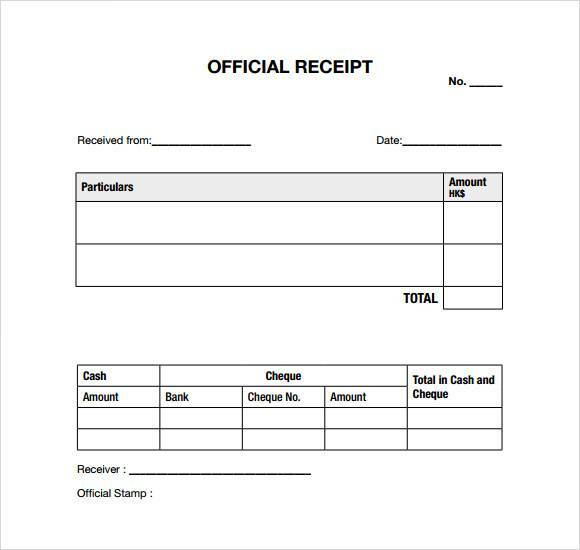 With the demand for gym equipment and services came the need to issue such receipts. 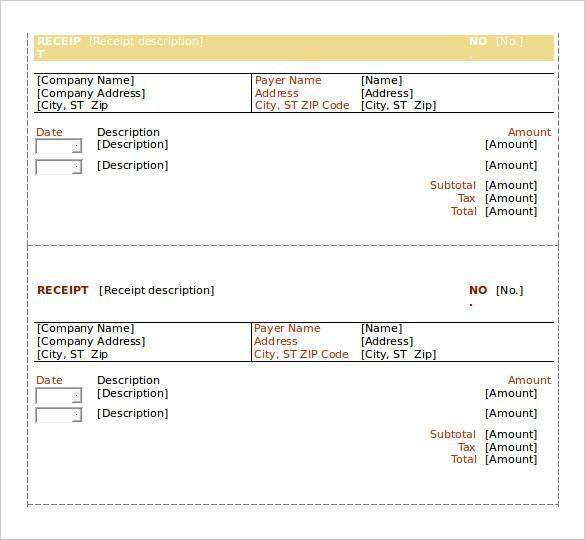 Check out the gym receipt samples and templates in this article that you may also use as reference as we learn about them. 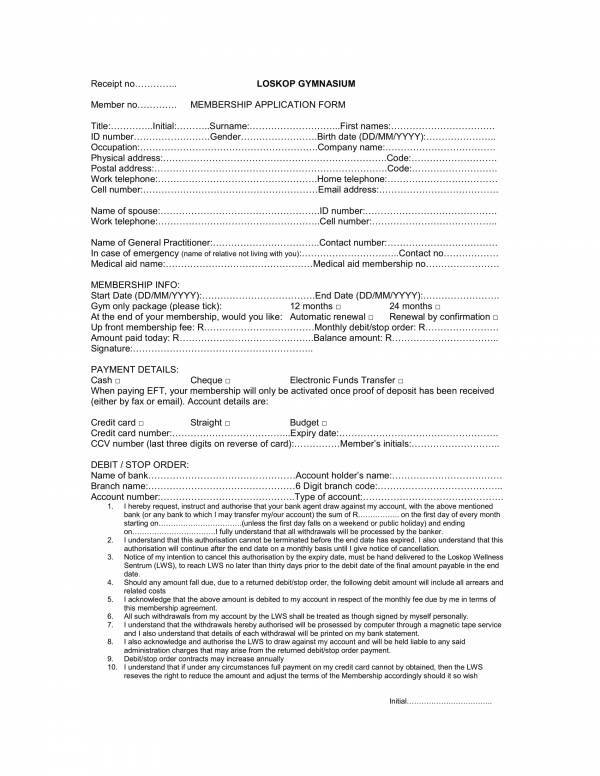 What Is a Gym Membership Receipt? When you pay for your gym membership dues, you are then given a gym membership receipt. 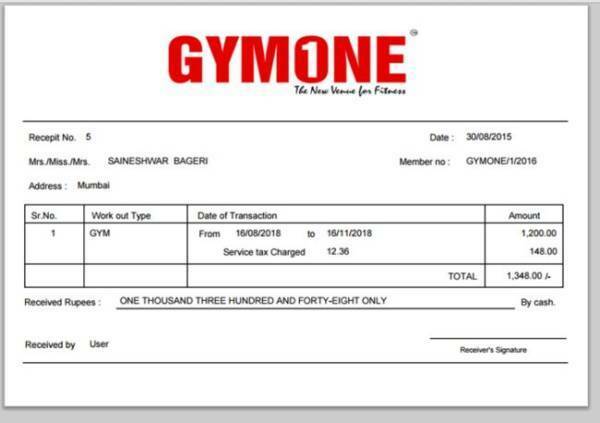 A gym member sgip receipt is specifically created and designed for use in gym businesses where membership is required. 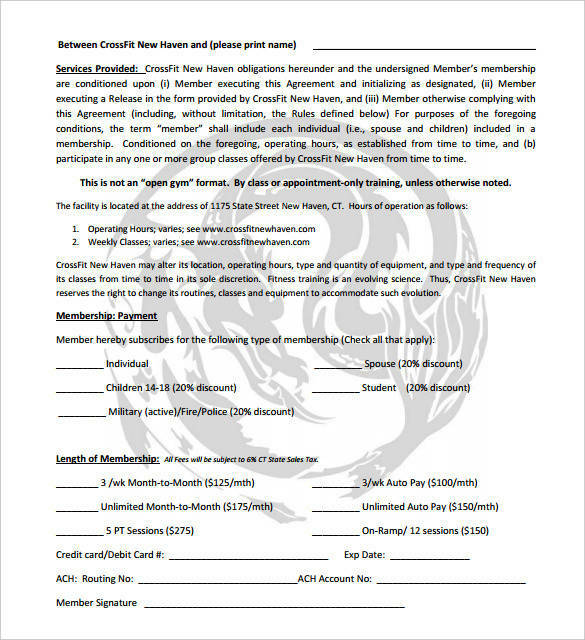 This is an acknowledgement that they have received the exact amount of payment for your membership including all other services you have included. 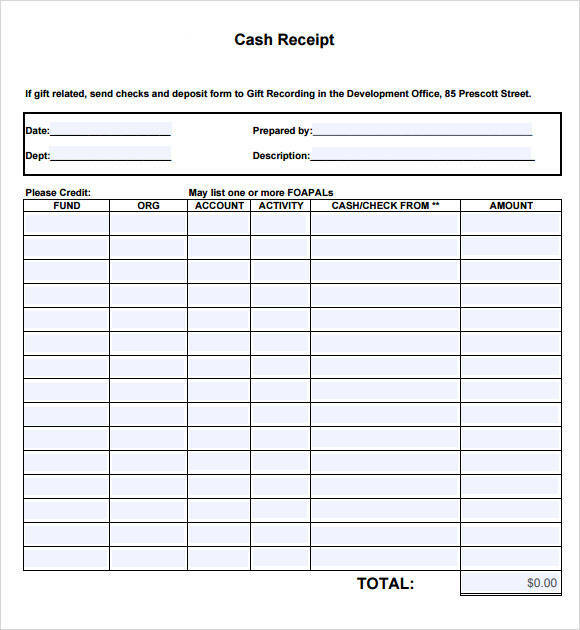 Just like all other receipts, it is used mainly as a proof of payment. 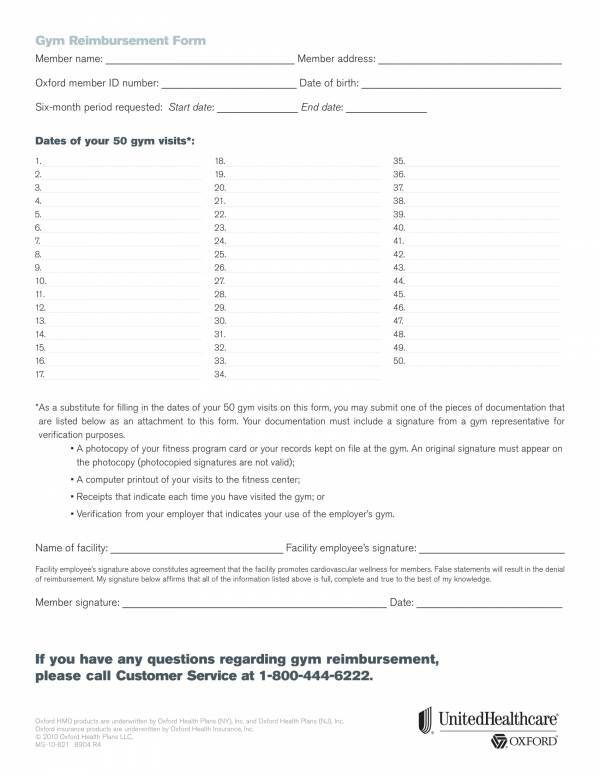 Gym member receipts are used to determine the date when one’s gym membership actually started. 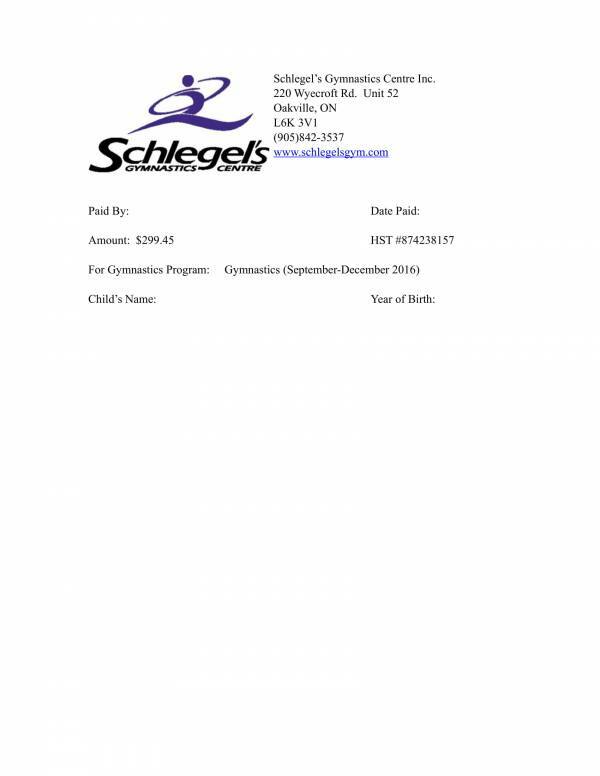 Receipt records are kept in member files and used as reference for the services that the gym member has paid for aside from regular membership, if any. Tracking the gym’s profit or how much the gym is earning from its memberships can easily be done with the use of gym membership receipts. The receipts can be used as proof for claiming tax deductions or tax refunds, and are serve as evidence when the business is selected for random auditing. 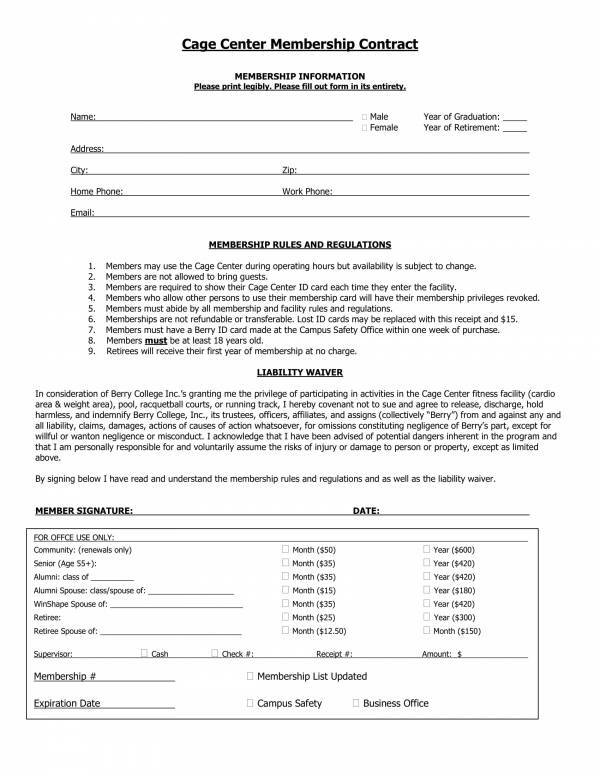 Issuing gym membership receipt is used to show that the establishment is compliant to the law and that they are running business in an acceptable and legal manner. Other related articles that you may find interesting are Dry Cleaning Receipt Samples & Templates, Gift Receipt Templates, and Transfer Receipt Templates. Keeping receipts is not something that a lot of people practice. What we actually do is throw away receipts the very moment they land on our hands. It’s as if they are some sort of trash that should have not bee provided to us. The funny thing is that we ask for a receipt or wait for the receipt to be handed before we leave the counter. Why do we actually ask for it if we know that we are just going to throw it out? We should actually be keeping receipts than just throwing them away. There are a lot of benefits for keeping receipts, like keeping track of one’s expenses, getting tax reimbursements or tax deductions, for budgeting, for getting warranty or refunds, for liquidation and many more. In addition, aside from being told to always ask for a receipt we are also asked to keep that receipt. How long do you suppose that is? We can’t keep receipts forever and they are only useful for a specific period of time. Well, it’s true that you can’t keep them forever, but receipts are useful until the indicated number of years written on them. You can actually keep them for as long as 3 to 7 years, or even forever. Some of those receipts may end up as clutter so you need to get rid of them. To avoid this, you need to know how to identify which receipts to keep. Here is a little guide that can help you. Forever – Yup, there are receipts that you must keep forever or as long as you have possession of the item that receipt is for. These purchases include jewelries, insurance payment receipts, loan payment receipts, collectibles, antiques, cars and other properties. These are not just receipts but they are considered as essential documents for such properties. 3 to 7 Years – Do you know why it is important to keep receipts for this long? It is because you may get audited randomly by IRS and it could reach up to three years from the tax filing date. These receipts mainly include those from business or sales transaction and personal receipts that you have used to get or claim tax deductions. 1 Year – Receipts that you should be keeping for a year or less include receipts from credit card and debit purchases, from old insurance policies that just renewed and ATM receipts. Varying length – The length of the warranty varies from one product to another so this means that you should keep receipts for as long a the items purchased are still under warranty. Is this receipt worth keeping? Think about it before you decide to throw them away. You may also want to check out other related articles, like Goods Receipt Templates, Travel Receipt Samples and Templates, and Bill Receipt Samples and Templates. Cleaning Service Receipts – These receipts are used by businesses offering cleaning services, like house cleaning, laundry, swimming pool cleaning, hospital cleaning, office cleaning and maintenance and many more. Sales Tax Receipts – A sales tax is calculated as a percentage of your purchase that is collected by the seller. But the seller can’t keep this tax collection as they are only meant to collect it to be forwarded to the government. A sales tax receipt is used to show you how the taxes on your purchase is calculated and how much is added. 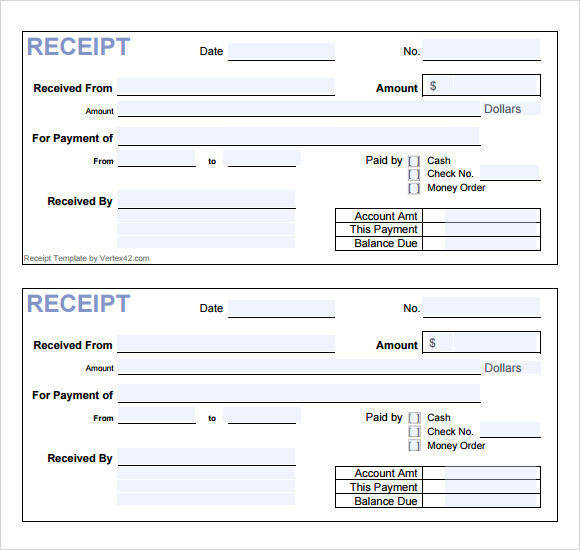 Refund Receipts – You need a receipt to get a refund, but did you also know that your refund comes with a refund receipt. A refund receipt is issued when the recipient of the refund has received and acknowledged the refund issued to them. This is used as proof of the transaction and for documentation purposes. 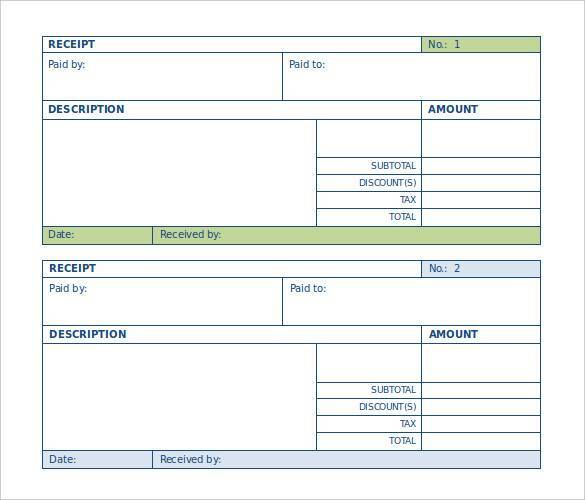 Petty Cash Receipts – Do you know what a petty cash is? All businesses should have a petty cash ready or available at all times. A petty cash is also known as on-hand cash that is usually kept in a small vault or in a locked storage. It is used when small the business needs to spend on something that only requires a small amount of money or something that does not necessarily require a check. Because cash can be easily abused, t is important that expenses made using petty cash is recorded and that through a petty cash receipt. 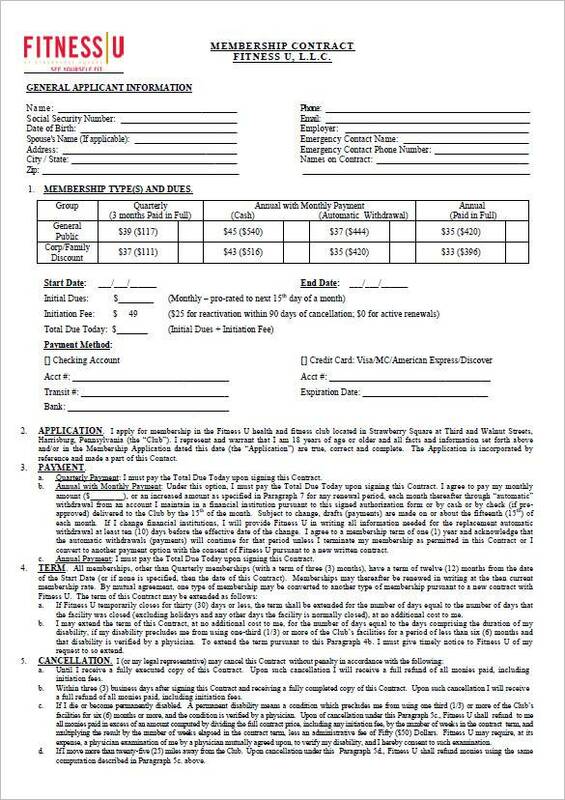 Rent Deposit Receipts – This receipt is issued by a landlord once they have received the required deposit of the rental property that a tenant wishes to occupy and use for a period of time. This means that the owner acknowledges receipt of the exact payment amount. Gift Receipt – A gift receipt is no ordinary receipt. Most receipts would have the total amount paid indicated on them, but not this one. A gift receipt is included in a gift so that if the receiver does not need the gifted item, they can have it replaced for another item from the same store. What other receipt examples are you familiar with or do you know of? If you want to find more examples with different varieties of samples and templates, then you may check them out on our website. Some of the titles that you will surely find useful are Credit Card Receipt Templates, Petty Cash Receipt Samples & Templates, and Parking Receipt Samples. What Is the Proper Way of Disposing Receipts? There is no one way of getting rid of any types of receipt, but there are a number of ways on how you can properly get rid of them. We have been accustomed to throwing receipts in the trash can together with all other junk. Doing so might just put you into some trouble you just didn’t think is possible. You can avoid this by properly getting rid of them and that is through shredding and burning. Receipts that are generated from credit or debit card purchases contain personal information such as your name and the last four digits of your card. What harm can that possibly do? Unknown to a lot of people, the said information is enough for anyone to steal your identity and transact using your information. You might just find out that you already have a big loan or debt to pay without even applying for one. Sounds scary, doesn’t it? That’s not all. You may also be charged for doing crimes you actually did not do, but was done by the fake you. Shredding and burning receipts is the best way to keep your personal information out of reach of anyone. If you shred those receipts, then all of your personal information cannot be put together and will be lost. Burning receipts is also another way to erase those information without leaving a single trace. Just make sure that you look after it until the last piece of paper s burned. You not only make sure that your personal information is eliminated, but you also avoid the chances of burning your surroundings. It’s still better safe than sorry. Have you learned anything from this article? We hope that you did. To learn more about receipts, feel free to check out our website. Some of the titles you will find useful are Purchase Receipt Templates, Store Receipt Templates, and Grocery Payment Receipt Samples & Templates.